While dogs can be excellent companions and even perform certain practical functions, the reality is that they are also capable of severely injuring human beings. The United States Centers for Disease Control and Prevention (CDC) indicates that almost 4.5 million Americans are bitten by dogs annually, and that 20 percent of all dog bites are severe enough to require that victims receive medical attention. California law recognizes the danger that dogs can pose, and allows victims of dog bites to recover compensation for their injuries and other losses. However, because these cases are complicated, people injured by dog bites should discuss their case with an experienced Long Beach dog bite lawyer. If you experience a dog bite, the experienced team at Jamal Injury Law P.C. can help you understand your rights. Dog bites are also capable of causing serious infections. Dogs' mouths mouths harbor millions of harmful bacteria. If these bacteria enter an open wound, victims may develop serious infections that may even result in the loss of limbs in certain cases. Regardless of the type of injury you sustain, at minimum you should consider arranging a consultation with our firm. As dog bite lawyers who are experienced in assisting Long Beach residents, we can give you a clearer understanding of the strength of your case as well as your legal rights. 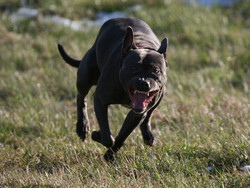 While common law principles allow for recovery from dog bites, California is one of the states that has a statute specifically authorizing recovery for victims who are bitten by dogs. California Civil Code section 3342 imposes liability on dog owners for injuries caused by their dog, whether or not the owner knew the dog may be vicious. This is significantly different from the dog bite laws in several other states, which operate under a “one bite” rule. In those states, the dog’s owner is shielded from liability from the first harm that a dog causes. In California, owners are held liable for bites that take place on public property and on private property, so long as the victim was lawfully present on that property. As experienced Long Beach dog bite attorneys, the team at Jamal Injury Law P.C. has found that all too often residents are not aware of the state-specific laws that can protect them, which results in a failure to get the legal help they need. In order to receive compensation for costly medical treatments and other damages, whenever you sustain an injury due to a dog bite, it is a good idea to seek legal advice from a seasoned expert. Dog bite victims and their families may be able to obtain compensation for losses such as medical expenses, lost income, disfigurement, pain and suffering, and more. But these losses are difficult to recover without working with an experienced lawyer. Even if you are unsure whether your injuries warrant legal assistance, seeking medical attention right away and then contacting a lawyer for a consultation is recommended. Suliman Jamal is a seasoned dog bite lawyer serving Long Beach residents who is committed to helping victims fully recover. To schedule a free consultation and learn more about your legal rights, call the experienced legal team at Jamal Injury Law P.C. today at 714-907-1021.